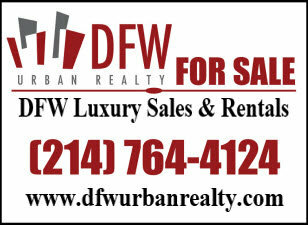 Search Garland TX real estate and homes for sale in Dallas County through our MLS database. Unlock exclusive details on home listings in Garland that you won't find on most other Garland real estate broker and agent sites including Garland listing price and status change dates, days on market, home owner association dues, private listing agent remarks and more. Our Garland Realtors are available 24/7 to answer questions, help with pre-qualification and schedule personal tours of properties including homes, new homes, townhomes, condos, lofts, apartments, land, lots and acreage. Whether you're looking for a home in Garland close to Lake Ray Hubbard or Lake Lavon, a Garland townhome with easy access to Downtown Dallas, or a new Garland home in a gated or golf course community, you'll have plenty of affordable options to choose from. Be sure and ask one of our Garland Realtors about special discounts, rebates, and incentives you may be eligible for when you buy a condo in Garland, sell a Garland house, or find an apartment for rent in Garland. Contact our Garland Realty brokerage at (214) 764-4124 and speak with an agent to discuss your Garland home search today! RECEIVE GARLAND, TX HOMES FOR SALE WITH LISTING PRICE/STATUS CHANGE ALERTS, 1st DAY ON MARKET! 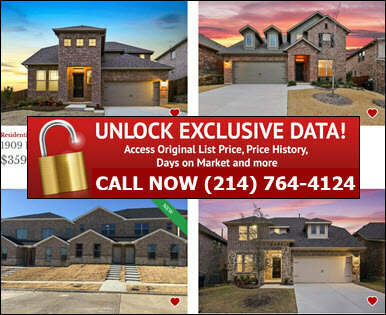 UNLOCK EXCLUSIVE GARLAND MLS HOME LISTING DETAILS! When it comes to convenience, our Garland real estate search is unparalleled. Whether you're in the comfort of your home, or on the go, our site works flawlessly on multiple devices so you can search Garland homes for sale with ease. Receive listing updates on Garland home listings that match your search criteria, the 1st day on market! UNLOCK Cumulative Days On Market, HOA Home & Condo Association Dues, Private Garland Agent Listing Remarks & more NOT FOUND ON ZILLOW and most other sites! By combining modern technology with local expertise, our Garland Realtors are able to deliver an unmatched level of customer service! 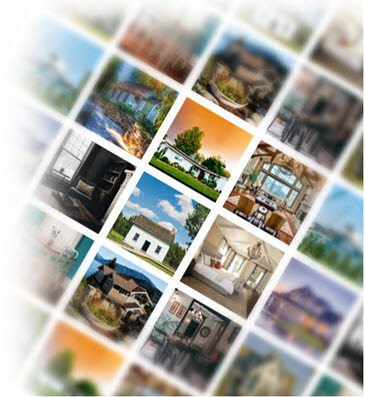 Search Garland Homes for sale including pre owned, new construction, bank foreclosures, auction and short sale listings. 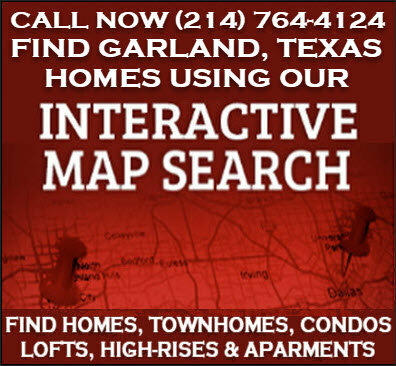 We offer multiple options to search Garland Homes For Sale including search by listing number, address, city, county, zip code, school district, subdivision, polygonal or radius map. In addition to Garland, TX real estate MLS listings for sale on our site, we can also help you find off the market homes for sale in Garland and coming soon homes in Garland, Texas. Search Garland new homes for sale by location, home type, floor plans, promotions, new home community, builder name, amenities including golf course, waterfront, senior communities and other new home options to help you find the perfect DFW new home with all the right amenities in the right location and at the right price! Our Garland Realty brokerage also works with Garland new home builders and can help you find new homes for sale in Garland with the best builder discounts and incentives available. We help Investors and home buyers take advantage of pre-construction pricing on coming soon new home construction communities in Garland, grand opening and special promotion events with discounted pricing and free upgrades on new custom Garland homes and huge price breaks and savings on Garland new home builder close out inventory. Selling Your Home in Garland, Texas? Your Garland Home Sold & Save Thousands in Realtor Commissions! Our Realtors can also offer you a discount on our listing services when you sell your home in Garland and buy a new home with us. Sell your home in Garland, Texas and save thousands in Realtor commissions! Our listing service will help you sell your home in Garland in the least amount of time possible for maximum profit by generating maximum buyer traffic through our DFW website and our online real estate marketing and social networking channels. Hundreds of buyers visit our site a month searching Garland homes for sale and rent. We also manage one of the largest real estate networks on Facebook with a combined membership of over 20,000 members that include home buyers, renters, investors and other Realtors and Brokers. Your Garland home will instantly go viral and reach thousands of potential buyers ready to purchase! Contact us today at (214) 764-4124 and let one of our Garland listing agents develop a strategic marketing plan to get your Garland home sold! Garland, Texas is a growing community with over 223,000 residents. Located minutes from Dallas, Garland offers an attractive location with easy access to Lake Ray Hubbard, Lake Lavon, Mesquite, Rockwall, Rowlett and Downtown Dallas. Homes in Garland are mostly located in Dallas County will a small area in Collin and Rockwall. Garland is known for Firewheel Town Center, a 998,347 sq. ft. mall that offers residents shopping, dining and entertainment in a mixed use urban main street style district.